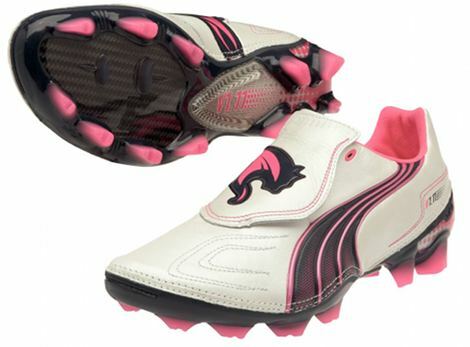 Following on from our special feature on Pink football boots yesterday, Puma have duly unveiled their latest in their line of ‘Speed’ cleats – the Puma v1.11 – White / Navy / Pink! 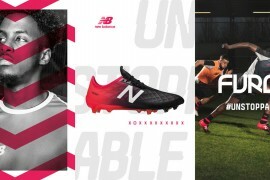 No stranger to pink footwear (having launched the Pink v1.08 back in 2009 and a special edition all-pink v1.11 in October Last year) Puma are clearly capitalising on the success of their previous foray into footballing footwear’s most controversial colour. 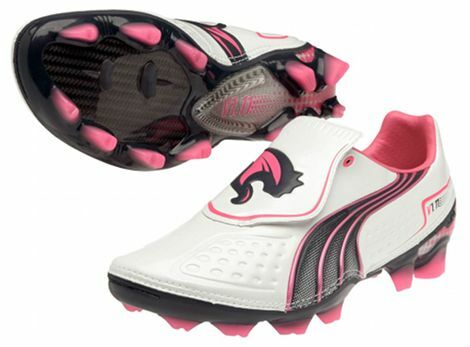 Marrying a crisp, clean white upper and teaming it with a bold shade of pink works to make the Puma v1.11 – White / Navy / Pink pop like nothing else on the pitch! 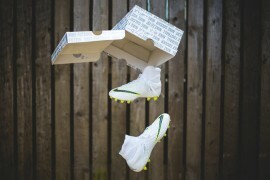 Not that the needs Puma v1.11 any more exposure on the pitch, as it’s currently being worn by some of the most electric stars in European football – having made their way onto the feet of Sergio Aguero, Radamel Falcao, Mario Gomez and Yaya Toure. 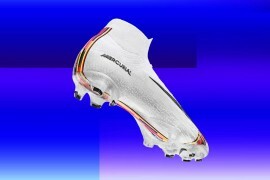 Designed for pure speed, the Puma v1.11 – White / Navy / Pink is converges some of Puma’s most advanced football boot technology into it’s upper and soleplate. 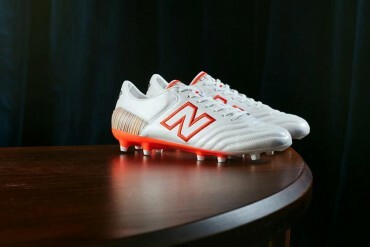 With a choice of either Microfibre synthetic or K-Leather uppers, the v1.11 uses Puma’s unique Aptolast to mimic the shape of the foot for a snug, secure fit. Looking your feet in place is the UNi heel system, that offers enhanced stability and protection, whilst a new lacing system and tongue pulls the whole boot flush to the top of your feet. The sole uses a stud system specifically designed to supplement forward momentum, with wide-lying studs for exceptional stability. Underneath the forefoot is a Carbon Fibre plate, reducing the overall weight of the boot and enhancing the energy produced by the foot as it bends. 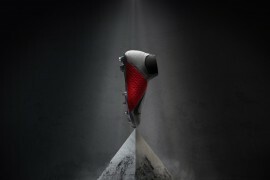 Also available in the range is the Puma v1.11SL – using many of the same technologies, but dropping the tongue and carbon fibre plate for a more traditional lacing system and midfoot carbon fibre shank, the SL manages to squeeze it’s weight under the 170g mark, making it one of the lightest soccer cleats in the world today. 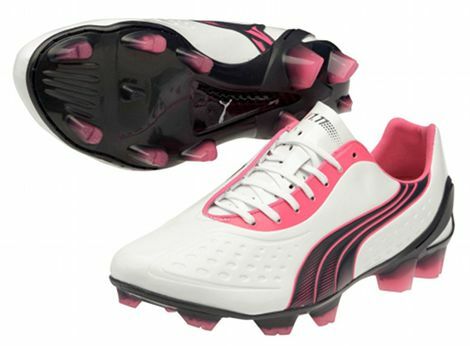 Expect to see the Puma v1.11 – White / Navy / Pink on the pitch from this weekend and landing in stores from 25/03/12 – with the synthetic version priced at £135, K-Leather for £155 and the SL at the top end of the range for £199.99. What do you think of the Pink Pumas? 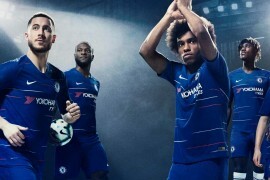 hi, these are good because i have got them. also they are ones because they are water proof and good for running.